Denon have been making cool-looking great-sounding Hi-Fi mini-systems for years, and now they’ve brought the concept firmly into the 21st Century with this, the gloriously white Denon Ceol Network Music System. 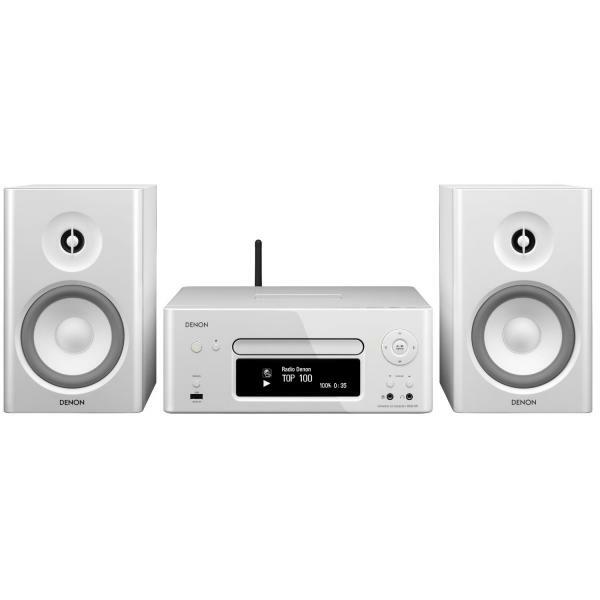 Featuring an iPod dock, as you’d expect, the Ceol will also stream your tunes wirelessly from your PC or laptop, hook up to your Network Attached Storage device and play tunes from that, and even play tunes from an ordinary MP3 player via USB. If that’s still not enough, you can listen to Napster and Last.FM, Internet Radio, classic radio (i.e. FM/AM), and even CD, as it has its own built-in CD player. Add to this huge list the ability to control your tunes via an iPhone or iPod app, a mighty 65W per channel of power, and Denon’s legendary sound quality, and you might just have the best network music player on the market.